Traditional PBX systems are becoming obsolete as VoIP is takes over with a more advanced application-based system and options that make communication easier than ever. You want to make sure your office is using the best system for the most productivity. Companies around the world are starting to recognize its benefits, and Future Market Insight predicts the global market for VoIP services to grow to $204.8 billion by 2020. VoIP systems are ideal for any kind of company, no matter the size, and can help further streamline your office’s telecommunication process.The cloud has revolutionized almost every aspect of the modern office in every industry- it was just a matter of time before the trusty office phone was revamped to match. Here’s seven ways VoIP can help take your office to the next level of strategic communication. Not only are VoIPs more efficient than traditional PBX systems, they’re more cost-effective as well. According to TechCo, “Businesses see an average saving of 50 to 75 percent as they switch to VoIP”. PBX requires extensive set-up and maintenance which can become quite expensive. With VoIP systems, you not only save on costs with installation, but the actual VoIP calls are significantly cheaper than calls with PBX systems. PBX can cost from anywhere from $500 to $2,000 per user. With VoIP, your phones only require an internet connection. This gives companies the ability to make domestic and long distance calls for free. VoIP provides your business with easy scalability so you can add a line as soon as another employee is hired. If another employee leaves, you can reassign or remove the line. This easy scalability saves you money and you never have to worry about a surplus or shortage of lines. 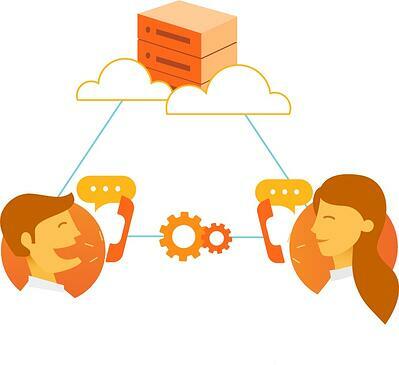 VoIP’s reliance on internet connection eliminates the need of on-premise equipment. With no equipment, there is no need for maintenance; ultimately saving you on maintenance costs that no longer exist. VoIP providers also offer customizable pricing packages that best fit your company’s needs. Generally, VoIP services are sold as a bundle and are priced based on how many employees will be using them. Unlike PBX systems,VoIP systems make it easier to integrate with your other business applications because your voice, data, and video are all internet-based. This creates a single platform for all communication channels, giving your employees flexible and accessible solutions from any location. This also benefits you, your employees, and your customers. If an employee is out of the office, they have access to their office lines from any location 24/7. This enables customers to access your employees at any time without any worries. This streamlines the process between the two parties which cuts communication inefficiencies and boosts customer service. With VoIP, you never have to worry about securing your phone system yourself. All security is handled by the service provider. If something goes wrong, all you have to do is give them a call. With VoIP, your provider provides encrypted telephony networks, security on BYOD devices, full encryption of both signaling and media part of calls, incoming/outgoing calls ability to standard PSTN networks, local networks access, no-logs networks, and much more. This makes VoIP more monitored and secure than the traditional PSTN. This means you can spend less time worrying about managing your voice system and more time focusing on priorities that keep your business running smoothly. 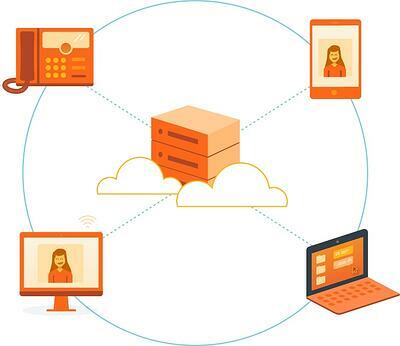 Switching to an integrated VoIP platform means that you have quicker access to customer data and records. VoIP allows you to integrate customer sales and account information from CRM, Outlook, and Office 365. Additionally, a Google study also found that 61 percent of consumers feel the click-to-call option is the most important when purchasing a product online. By offering both these advantages, VoIP results in quicker resolution of issues, fewer touchpoints over the customer’s lifecycle, and a stronger ability to manage emerging issues across the board. With VoiP, there are no physical limitations -- allowing you to access data from anywhere at anytime, saving time and increasing productivity. Aside from making phone calls, you can use your VoIP phone to enable video conferencing and texting. This allows you to stay in touch with your office no matter where you are. You no longer need to worry about physically missing a meeting when you can use your VoIP phone to make video calls. There is also the benefit of app integration. There are hundred of VoIP apps that can be downloaded on an iPhone or Android. VoIP apps usually offer at least a few services for free and integrate with your device for seamless usage. 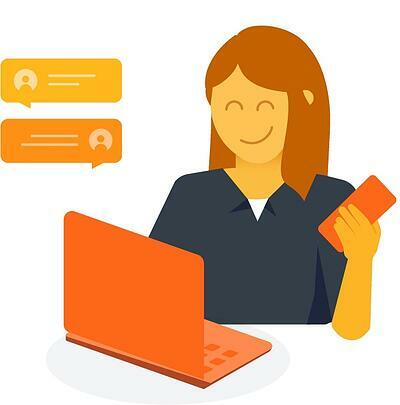 If you have a VoIP app on your phone and internet connectivity then you can text and receive messages regarding work. All previous call features on the PBX system are still provided with VoIP systems, including including call hold, call transfer, call hunt, conference calling, find me/follow me, and auto-attendant phone menus. Even virtual faxes are supported on VoIP, without the need for paper or toner, you can send and receive faxes using the email account you already have with a hosted VoIP system. There is no need to worry about losing your favorite features when making the switch. As more and more businesses make the switch to VoIP, your business will soon be behind in the race. According to TechCo, “The VoIP industry’s contribution to the economy has been increasing at a rate of 15.3 percent per year”. Outdated and disjointed phone systems can only sustain you for so long. When it comes to something as crucial as office communication, you want to be ahead of the game. Investing in voice technology now will put your company in a good position for other improvements as they’re likely to come in the future. It is important to have an IT plan in place for the future system. Your office communication is a piece of your IT roadmap that is necessary for the entire IT ecosystem to work well together. VoIP offers many benefits to your workplace and overall increases the productivity of your employees. Compared to the traditional phone system, VoIP cuts costs, avoids unnecessary inefficiencies, and future proofs your office. It is an effective way to improve communication between employees and customers, and provides a platform for unlimited growth. VoIP offers scalability and flexibility that the PSTN lacks. Take a look at the existing communication system in your organization’s offices and see if a switch to VoIP is the best choice for your team. Richard grew up in the Las Vegas area and has lived there since. He has been with Office1 for two and a half years, and with the Helpdesk team for 2 years. Richard has had an interest in computers since his childhood and has grown up using them in his day to day life. Going from computer games to a career path revolving around computers and technology, he has always enjoyed the technology field. 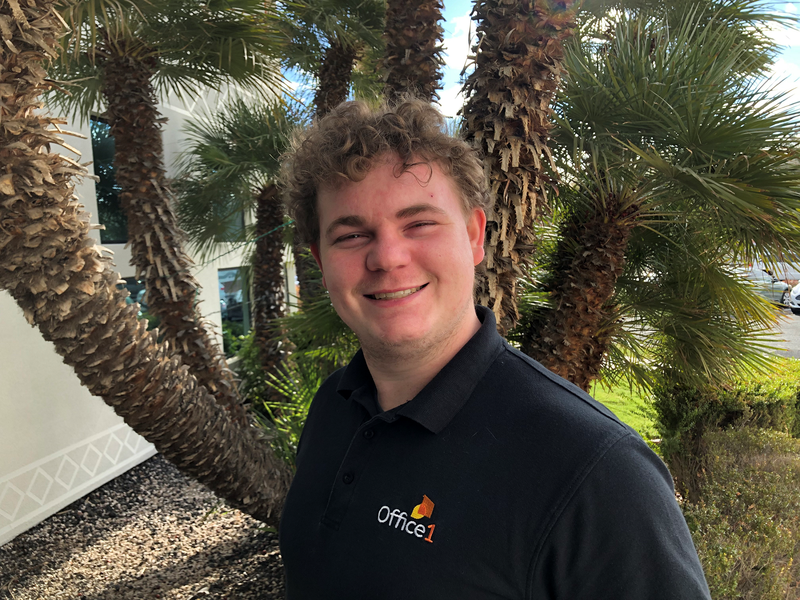 He now works to provide aid to customers for day-to-day issues and helps offer more specified assistance and guidance with knowledge on Phone Systems, UCaaS, and Networks.